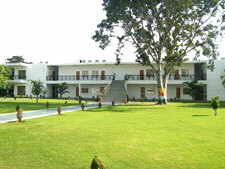 Hotel Century Gangri is situated just 600 mtrs. from Manali bus stand. It is inspired by magic of nature's love and offers breathtaking views of the hills and the valley. Its exceptional services and facilities offer a real comfort in the wilderness.